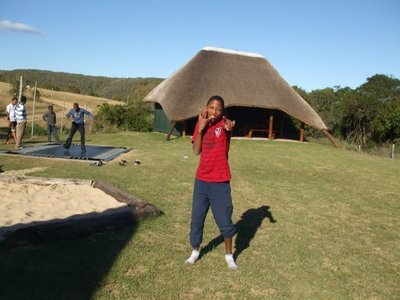 The last club activity of the year was a camp: time to enjoy and relax. 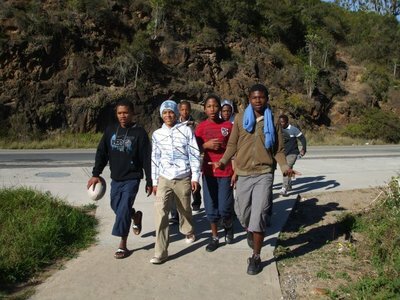 We also did a 'township hike' together, showing the guys from England the place where we live. The hike included a lunch at our office with our traditional food, some cooked on wood fire. Abingdon donated us spare parts and money for our Food Fund. 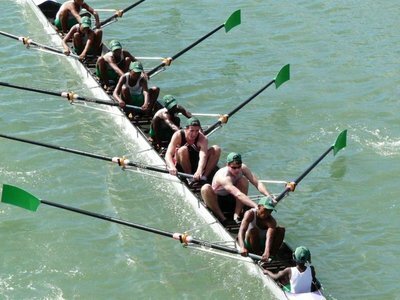 Schools Boat Race is one of the most important junior rowing events in South Africa with participants from all around the country. Most of our experienced rowers are senior and do not qualify to participate anymore, they have been rowing at the University Boat Race. We had an intensive process to select the eight. All junior boys participated. Our team is very young, with even an under 15 rower, and inexperienced, only one rower has experience in sweep oar rowing and Boat Race. We couldn't expect top result against the under 19 A-teams, but it was nice to be part of the event and get the experience. 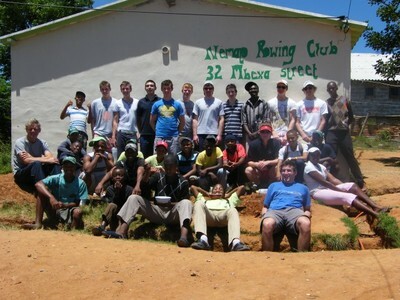 We got two boys from Abingdon School from the UK to row with our boys. Unfortunately we don't have a girls team this year, but one of our girls rowed in the reserve girls quad. With the start of the summer holiday we started our new beginners course. 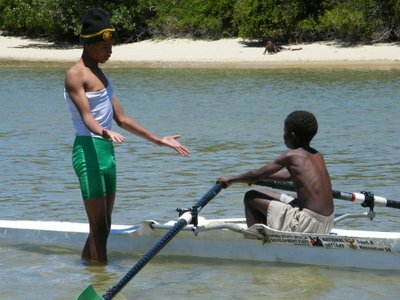 We use the warm summer for our swimming and rowing lessons. Unfortunately the weather and water is still a bit cold, but hopefully that will change soon. 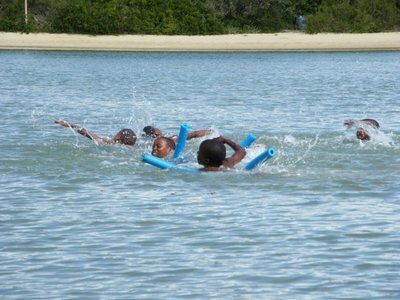 The lessons are at Kiddies Beach, a shallow lagoon, that offers a safe place for our lessons. 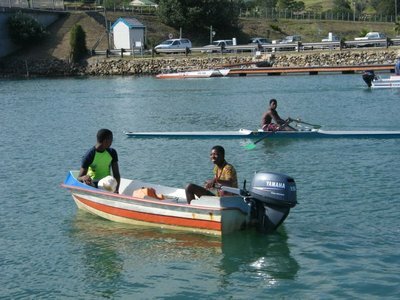 After passing the swimming and rowing test, beginners can row on the river. 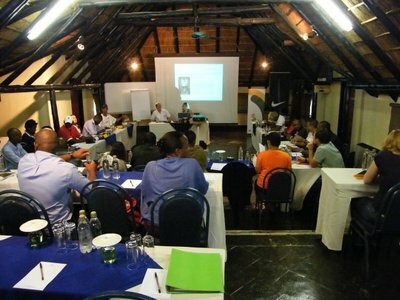 Nemato Rowing Club was invited to the Summer Conference of the Sport for Social Change Network (SSCN) in Southern Africa. The convener of the conference was Altus Sport. It was sponsored by Nike and Youth Development Football (YDF) from Germany. 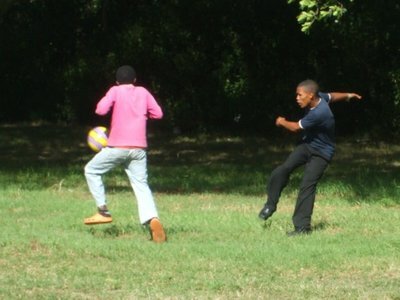 SSCN is a meeting point for organisations involved in using sport as a tool to make social change happen. 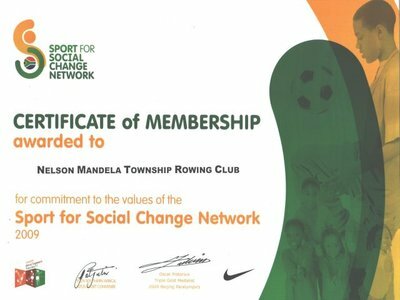 Our rowing club is a proud founder member of SSCN-Southern Africa. The conference was packed with very useful information that will improve the quality of our program and our sustainability. The rowing club is looking for new members and organised a beginners day. About 30 kids participated. We will start our beginners swimming and rowing course next week. 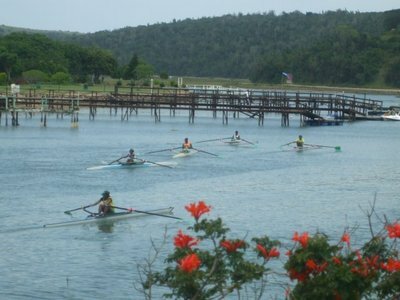 The Heads Regatta in East London were 3km and 6km heads races this year. 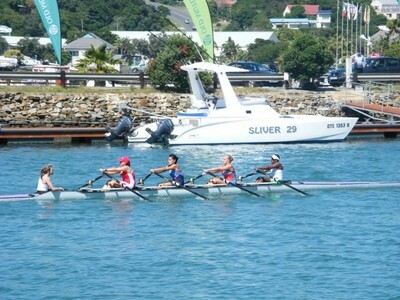 Good wins for the Under 16 and Under 19 quads. 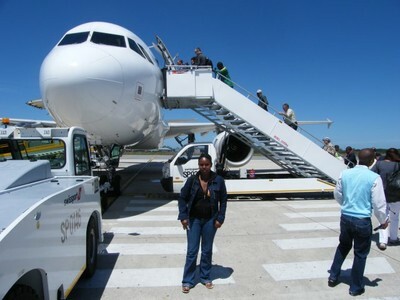 We stayed for the night and on Sunday we visited the East London beach front and the new Hemmingways Mall where we watched the Michael Jackson movie. In 4006 our club won the Jack Cheetham Award for best sports development program. 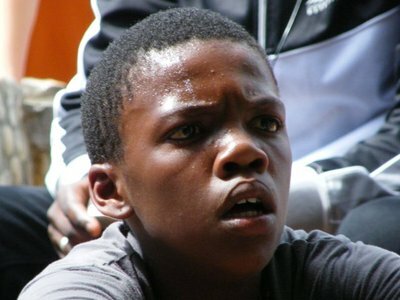 It is an award by Murray & Roberts, SASCOC and the Sowetan Newspaper, and it comes with 5 year prize money. As winners we get invited to the award evening every year. 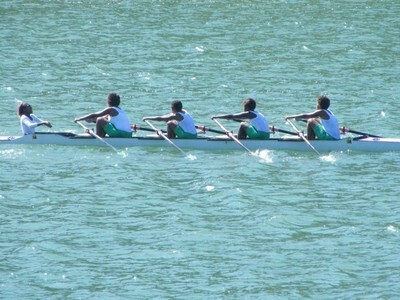 Nemato Rowing Club participated in the ZRC Regatta in Port Elizabeth. Not too many medals (two), but it was a nice event. 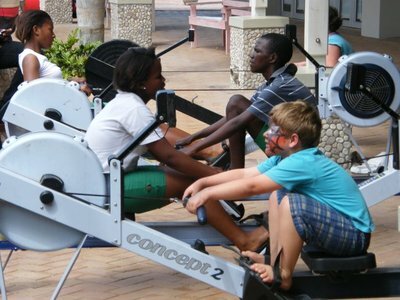 The Rosehill Mall invited Nemato Rowing Club do some activities at their mall. We took our ergos there and all rowers pulled a 1 hour trial, a very tough test! 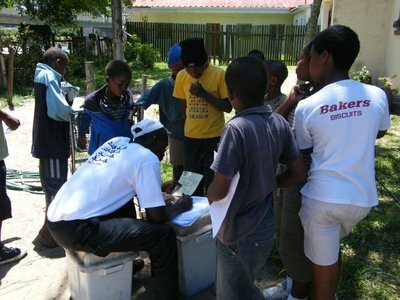 It was also an opportunity for our club to meet people and show what our club is doing. 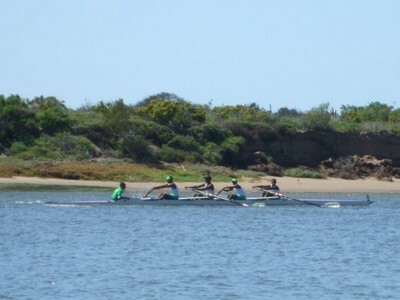 For the first time ever Nemato Rowing Club had a team rowing University Boat Race in Port Alfred. We are not a university so it was nice that they allowed us to participate. 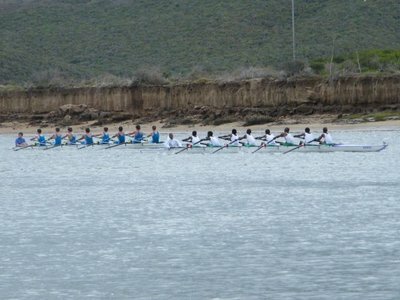 On Thursday we came 6th in the B-race, beating two Stellenbosch University teams. It was a pity on Friday that we were not allowed to race NMMU from Port Elizabeth for 5th and 6th place. 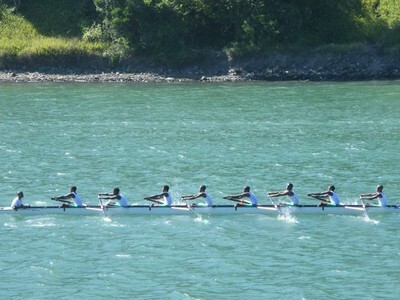 We rowed against the C-team of Stellenbosch, an easy win. 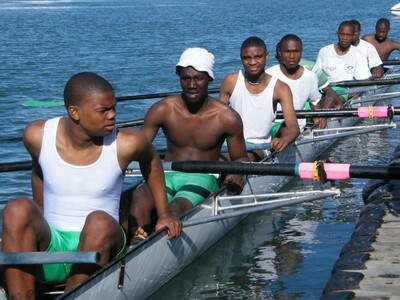 We are pround of our old rower Athenkosi Hlekani who stroked the University of Johannesburg B-eight won silver! Rhodes rowers organised a weekend for us. 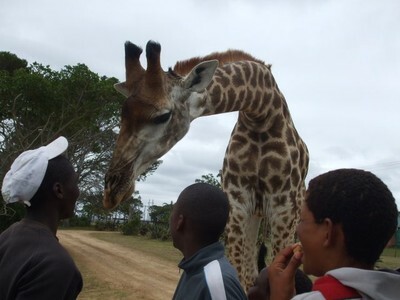 Unfortunately the game drive didn't work out on Saturday because there was no transport. On Sunday we cleaned containers, washed boats, both Rhodes and Nemato's. We also had fun races mixed Rhodes rowers and Nemato's in a team boats, after the races we had lunch. Roxanne and Christi told us about healthy eating. We had a career guidance class by the Rhodes Career Centre. Due to fishing competition at Ski Boat Club we could not row in the last weekend of May. 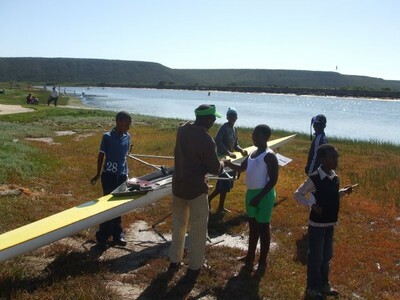 The rowers who form the organising group organised a camp at the Mansfield Nature Reserve. 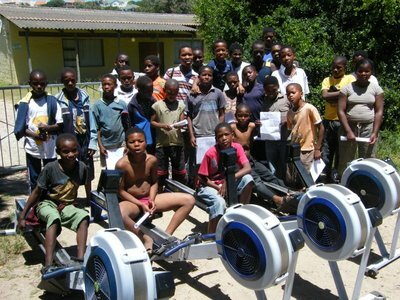 We selected 35 rowers with good attendance to training sessions. The reserve is at our own Kowie River not far from Port Alfred. The rowers went there on foot. 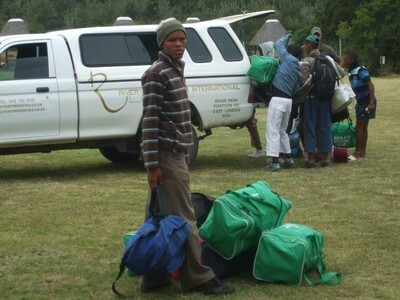 They enjoyed themselves at the camp site from Saturday afternoon till Sunday noon. They had a very nice time despite cold and windy weather. 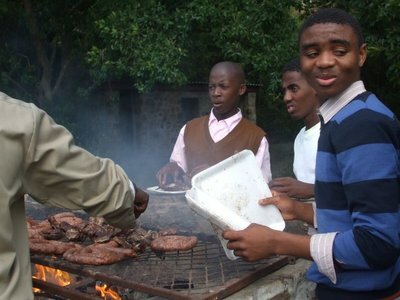 About 20 rowers who got had 100% attendance to sessions were invited for a braai to reward their commitment. Lots of fun and lots of food! 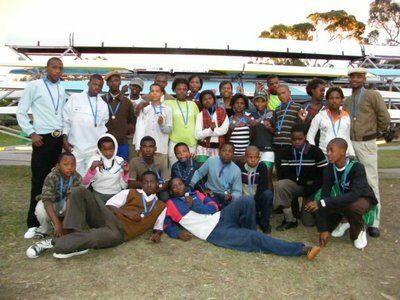 This year we rewarded a small group of rowers who showed the most positive attitude towards the club with a week long trip to Gauteng to the South African Championships. All of the 7 rowers are good rowers but not strong enough for medals at this level. 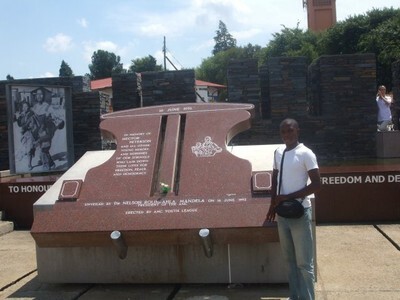 The trip included a visit to the Lion Park, to Johannesburg, including a visit to the 50th floor of the Carlton Centre, and to Soweto, including a visit to the Hector Peterson Memorial. 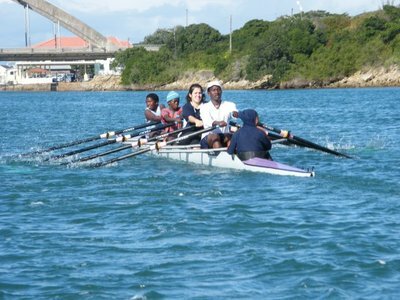 Nemato Rowing Club went with 46 people to the Grey Regatta in Port Elizabeth. This was the biggest group the club ever took to competition. 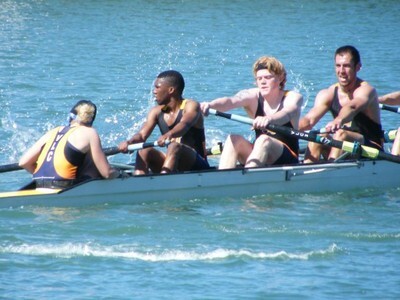 The regatta has a strong focus on beginners rowing, the rowers who started rowing in December. 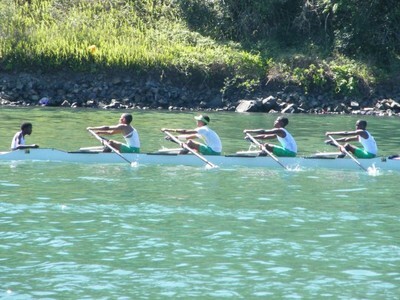 Nemato participated with all rowers: beginners and old rowers. We collected a large number of medals as you can see in the pictures. 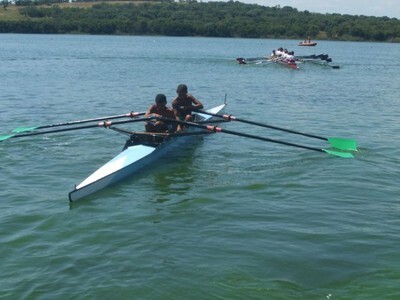 On Saturday the 7th of February Nemato Rowing Club competed in East London at the Eastern Cape Rowing Championships. 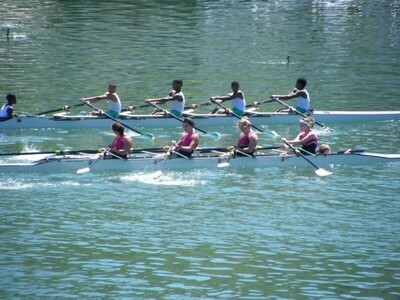 Khayakazi Madikane won the girls 3rd sculls and Nompumelelo Gongqa, Nolufefe Ngotsha, Kayakazi Madikane, Nontlonipho Mzizi and Nosipho Lukhwe won the girls 3rd quad. 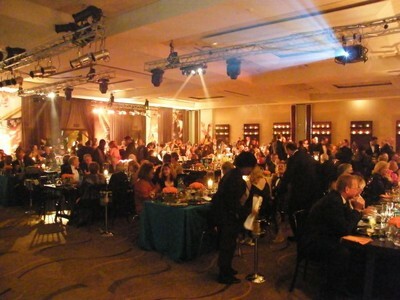 The club was closed for the festive season for two weeks. It is open again and we are training for competition in February and March. 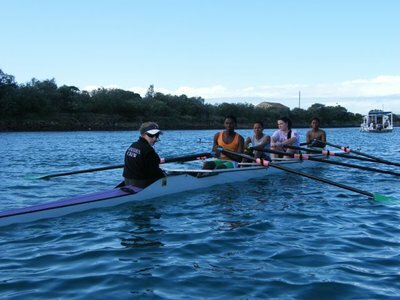 The pictures show the girls sculling, our coaches Chuma Nyendwana and Mbulelo Nelson, and the beginners rowing on the river.